In modern culture we are too easily seduced by perfection. We want the perfect job, seek the perfect look, strive for the best life we can achieve. We try to eliminate all the rough edges and imperfections until in the end we achieve—uniformity, everyone pursuing the same ideal. We strive for that ideal because we fear being different or showing weakness. Asymmetry, simplicity, raw, unadorned austerity have their own attractions. Drinking from an old, cracked coffee cup, a face marked by an unusual line, a chilly, fog shrouded shoreline, or parched forbidding desert—when something is not quite right we not only experience a sense of profundity but witness the source of vital creativity in life. A system that is too perfect lacks the diversity to cope with uncertainty. Only systems that allow for imperfection can evolve. There is no growth without adversity. The Japanese call the appreciation of the imperfect Wabi Sabi. 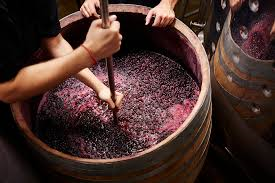 In the wine world those rustic wines from Chianti, the table wines from Portugal, or from Cahors in Southern France express the same aesthetic—the delight in simplicity, the sincerity of the unsophisticated, the determination to resist homogeneity, a stubborn refusal to be assimilated. They express the heart and soul of their regions and the people who inhabit them because those traditions were themselves forged out of the need to overcome adversity. While we’re chasing down the best wines in the world in the desperate search for 100 pt. blockbusters we should not forget about the pleasures of the flawed and the messages they carry.